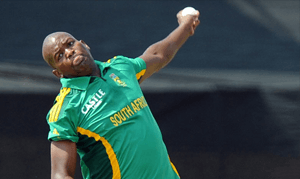 Cricket South Africa reported that the former South African bowler, LonwaboTsotsobe has been handed an eight year ban on the game, after he admitted to corruption and match fixing charges. The events took place during South Africa’s 2015 Ram Slam competition, wherein the 33 year old Tsotsobe admitted to “several breaches” of South Africa’s anti-corruption code in sports. Among the charges that Tsotsobe admitted to were contriving to fix a match in the Ram Slam T20 competition, as well as several charges of failing to disclose an approach to engage in corrupt conduct and failing to co-operate with an investigation. According to Cricket South Africa chief executive, Haroon Lorgat: “Whilst no fix actually took place, it is clear that he was active in plans to participate in spot fixing, and hence the sanction imposed on him. ”Lorgat was referring to the act of a player agreeing to affect the game at a specific point in the match so that bets can be placed on the outcomes using inside information. “There are no words to describe the regret I have in relation to my actions,” he added. Tsotsobe was one of seven players who were banned from cricket for several years as a result of the investigation. Former Proteas, Lions and Titans player, Gulam Bodi was banned from the sport for 20 years for his involvement in match fixing in the 2015 series. Other players who were charged and banned include Thami Tsolekile, Jean Symes, Ethy Mbhalati and Pumelela Matshikwe. The eight year ban on the former bowler prohibits him from any involvement in cricket, both locally and internationally. Judge Bernard Ngoepe of Cricket South Africa’s anti-corruption unit noted that the investigative team has now completed its “thorough and far-reaching investigation”. He said that he was satisfied that the culprits had been duly prosecuted under South Africa’s anti-corruption code. “Unless we receive or uncover any new or previously undisclosed information, we believe we can now bring this matter to a close,” said Ngoepe.